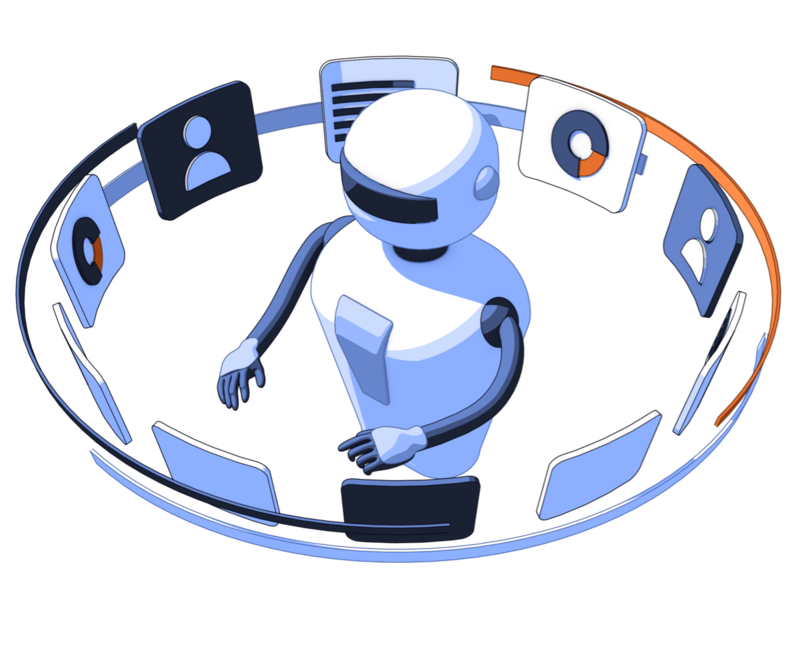 Using Robotics Process Automation we help our clients to digitize operations, eliminate needs for people to perform the repetitive, rules-based work. RPA helps to integrate legacy applications, helping to gain momentum building a stable digital ecosystem. Selecting right platform is crucial to successful RPA deployment. We leverage our knowledge of main market players and their solutions to help our clients evaluating the RPA platforms fitting client’s business requirements and limitations. We have practical experience with leading RPA products. We create a robust RPA project governance framework that covers Bots request initiation, ROI estimation, project launch, replacement or decommissioning of robots fully aligned with current governance model and SW development practices of the client.